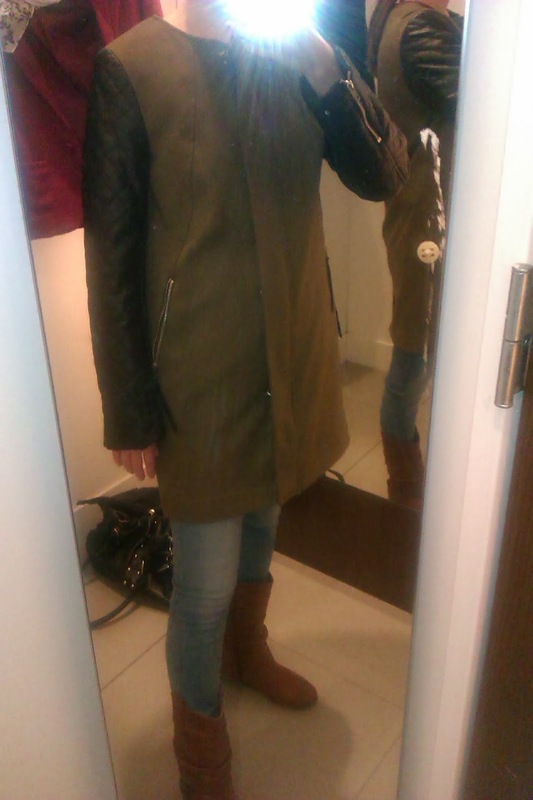 I went shopping in Almere today! I looked forward to this for weeks. I actually wanted to go to Zwolle last week, but I couldn't due school business. But this week I had no school business. So yeah, a nice shopping spree. And I might have bought something new... Not much of course * coughs *. Just a few things everyone should have. Wanna see? Love at the first sight. It might sound crazy to fall in love with clothes, but I can't help it. Becky had the same thing from Shopaholic! I love the color, it's subtle. 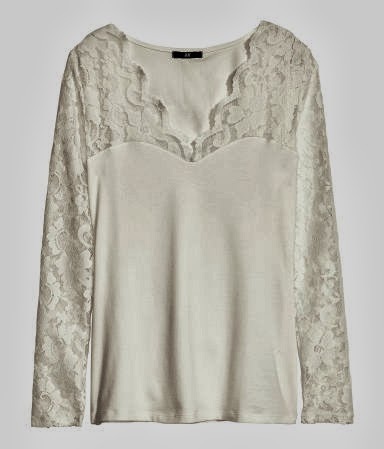 Something different after all the bright red clothes in my closet! It was only 9,95 euros and the sweater is very warm. ^ This picture doesn't do the T-shirt any justice. These do! Only 4,95 euros, couldn't resist.And yes, red again. It's not bright red at least! 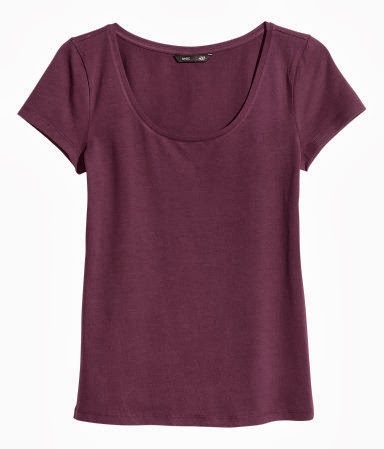 This one is wine red. So everytime I'm wearing this T-shirt I'm probably gonna think about wine. Gosh, I could use some white wine at the moment. I saw Doutzen kroes wearing this top and I wanted to order it, but I remained strong and didn't order it. But in the store I was like: WANT, WANT, WANT! So yeah, in the end I wasn't that strong because I still bought it. But at least I didn't order it. Only 14,95 euros plus I got a discount on this top because my mom, sister M and I collected clothes which we didn't like/fit anymore and returned it at the H & M because of that amazing new recycling action. If you return a bag filled with clothes at the H & M store you get a 15 % discount. It doesn't matter what state your clothes are in. So the top was 12,71 in the end =). Again, love at first sight. 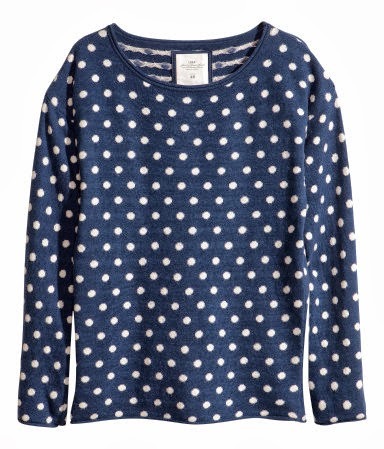 I already saw it on the website and I was like, heart it, want it, need it. 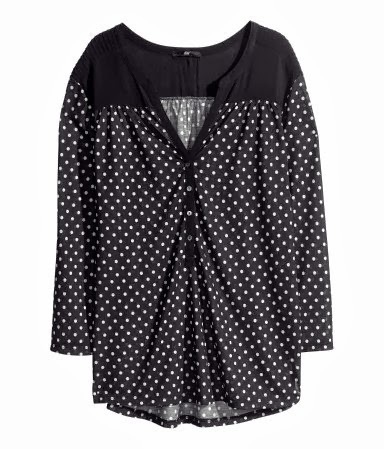 My sister M already said she discovered a new trend/obsession with my clothes because this one wasn't the only polkadot item which is on my wishlist (soon to be posted!). The sweater is really warm and not that tight, but I don't mind. It's an amazing comfy sweater, perfect for cold winter days on the couch with a nice cup of tea. The price was 19,95 but I got a 15 % discount on this item as well because we brought several bags filled with clothes. There is a maximum of two bags a day, per person. 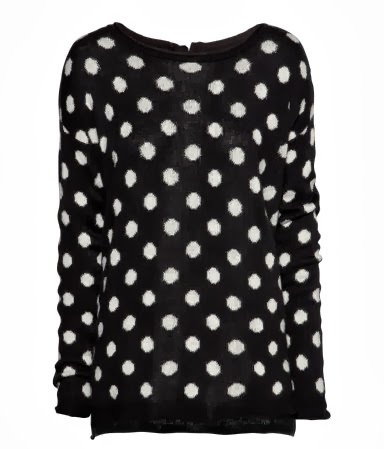 The sweater was only 16,96 with the discount, which I think is a bargain! Red. 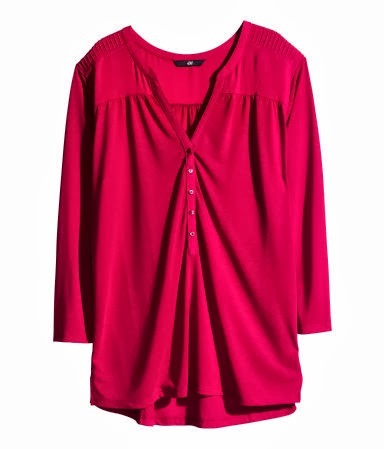 Because I don't have enough red in my closet yet. It was only 9,95 euros, really cheap! The funny thing is, this was the first store we went too (because we had so many bags) and I immediately saw so many nice things and I bought a ton! We didn't even went upstairs at first, 'till my sister said there was another floor (which I knew, I've been there before, but I was so happy and busy with my new clothes). I already spend 54,50 euros before we went upstairs. Oops! We had no choice, we needed to take a quick peek upstairs. There aren't that many clothes there for women (the men's and children collection are upstairs) but sometimes there a few nice things. Like this time! 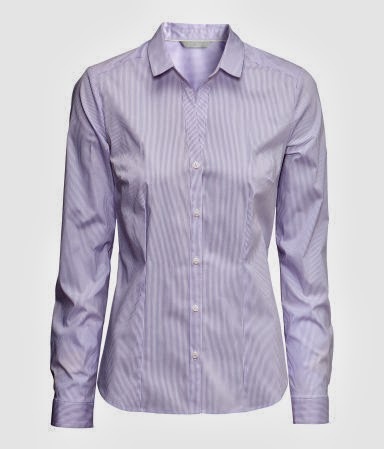 This lovely purple blouse with white stripes (stripes!) was only 7 euros. 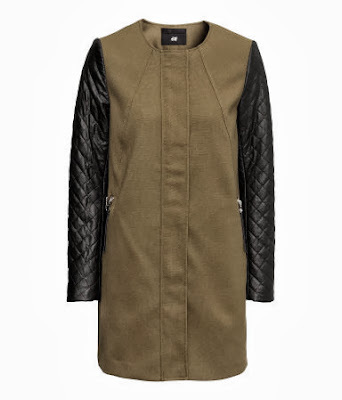 It was on sale, but on the website it's still 14,95 euros and not on sale? Weird! Anyhow, it's perfect office wear and it's always a good idea to combine a blouse with a blazer, which brings me to the next item! Again, this picture doesn't do the item any justice. 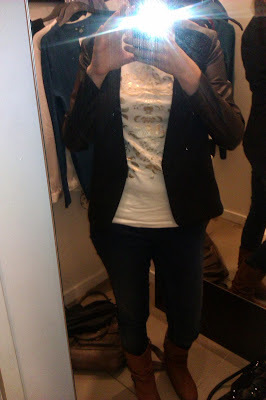 My mom talked my into trying this blazer and she paid it for me. She's so sweet, thank you mom! I didn't own a dark red blazer and this one looks chic even though it was only 20 euros. 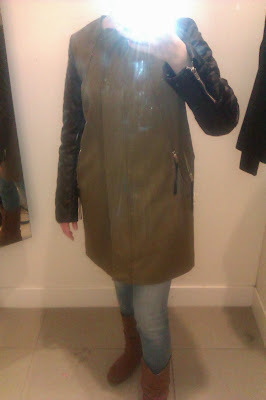 Plus, with the 15 % discount it was 16,95 euros. Have I mentioned I love the H & M for this action? They make recycling fun! My sister tried on these jeans and I wanted them as well. Surprisingly, I don't have that many light jeans. 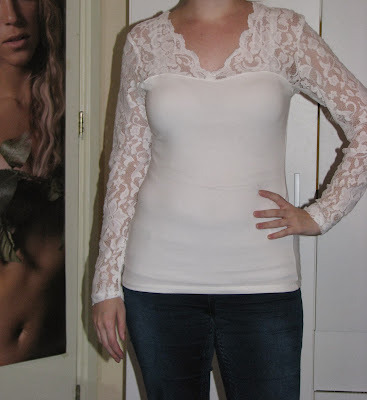 I have one which isn't that appropriate for work and two which aren't skinny and not work appropriate either. The price was 19,95 euros without the discount. That's so cheap for jeans, so I only had one option. Buying it! Well, actually my mom paid for the jeans as well. Thanks! And we had the 15 % discount on this item too, so the price was 16,95 euros. So those were the things I bought/got. Quite a collection right! I bought 7 items my self, 6 in the first H & M store. I payed for 5 items at first and then I payed for the purple blouse as well. My mom payed for the blazer and pants. In total I spend 61,50 euros. Oops! Well, salary will come next week or so. And if you realize how many items I bought, it's really not that much. Plus, the 15 % discount made shopping even more fun. 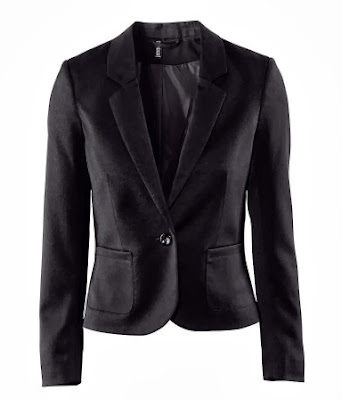 I used the discount on four items, my mom on her new coat and my sister on a dark blue blazer (I said she had to try it on, because she didn't own a blue blazer yet, which I think is a must for every woman! I secretly want that one as well, even though I already own three blue blazers. ) 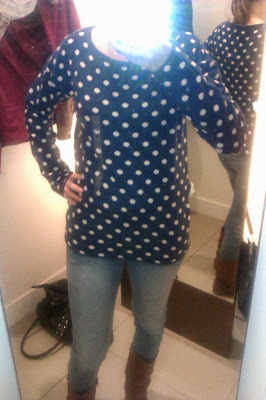 and the same light jeans I have as well. 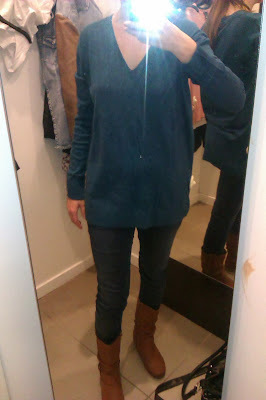 Now I will show you the clothes I tried on, but didn't buy. 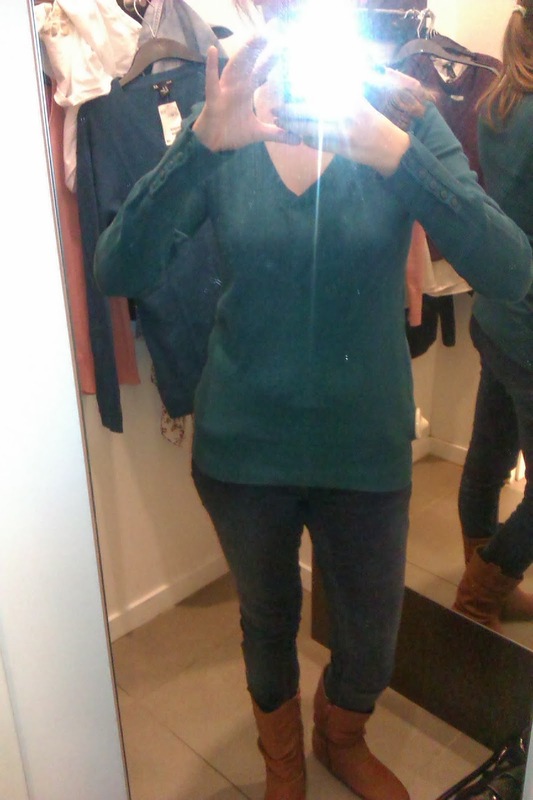 Not the same colour, but this is to show you the fitting of the sweater. This sweater was really wide but that's how it's supposed to be. Still, I wasn't that sure. I went for the pink sweater instead, which was 10 euros cheaper as well. This one was 19,95 euros so still very cheap. 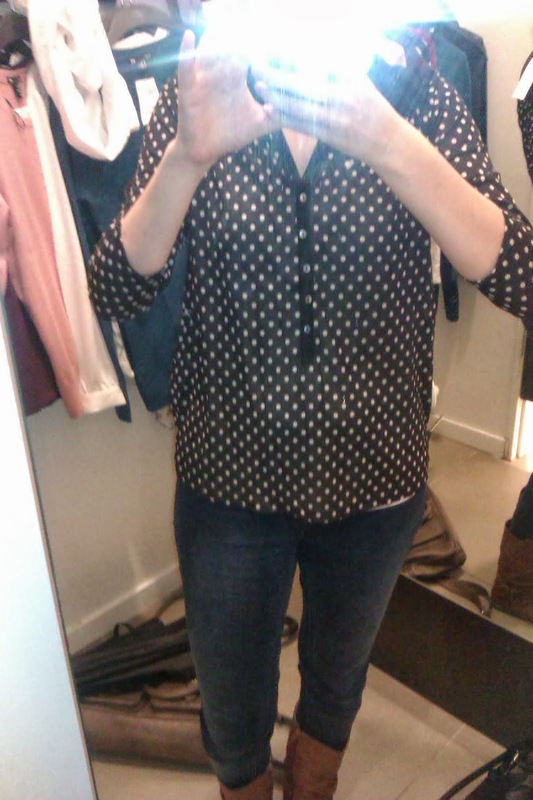 This one was 9,95 euros and I wanted to buy it, but I didn't. I should have though. 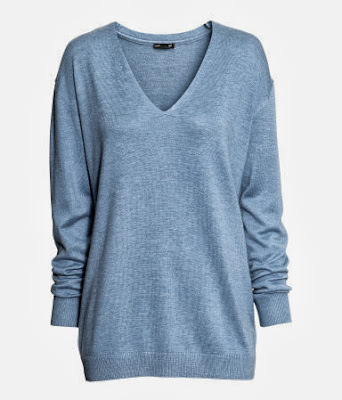 The only thing I didn't really like about this sweater was the low neckline. Cleavage! You always have to wear a top underneath for work. I have that with so many of my clothes and I don't really want that anymore. 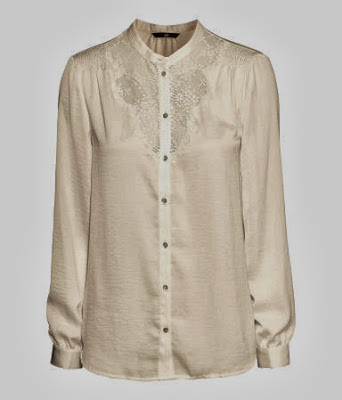 A cute blouse and the details looked even cuter. 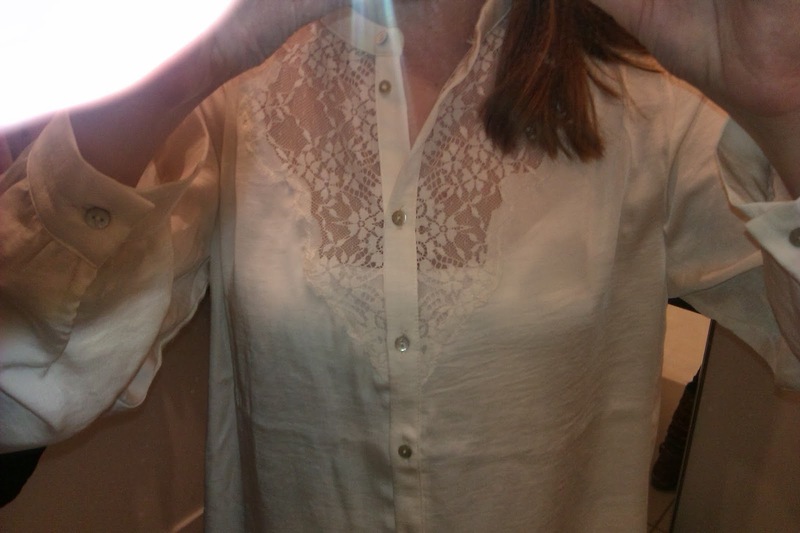 But it also looked a little bit like a nightgown. The price is 24,95 euros. 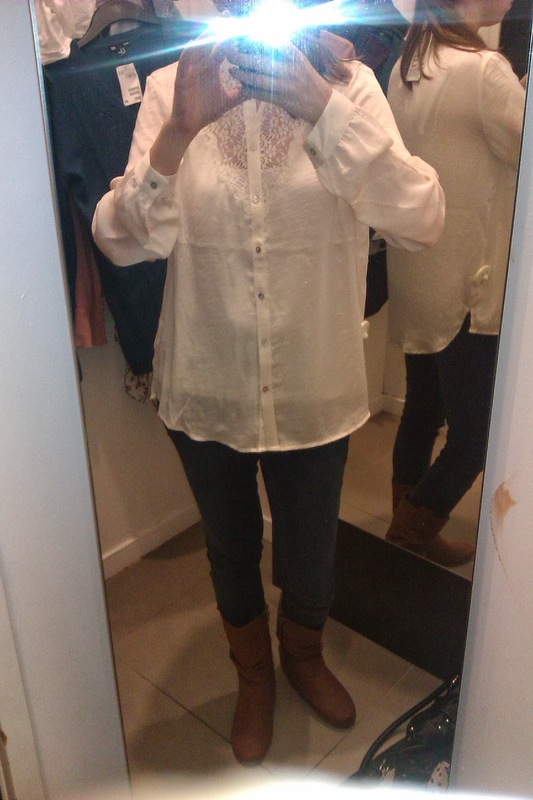 I bought this blouse in red, but this one is nice too. It looks cute. And again polkadot! 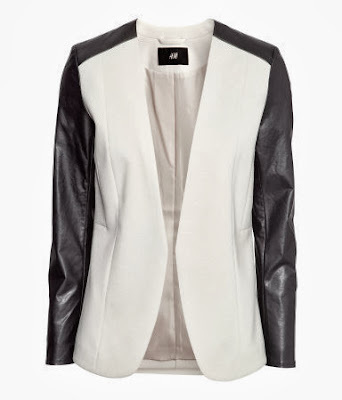 At first I wanted this blazer in white with black leather sleeves, now I think the black blazer with leather sleeves would fit me better. 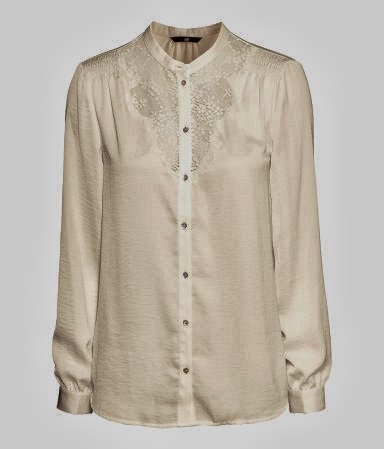 Omg, this one is on my wishlist as well (what isn't?)! 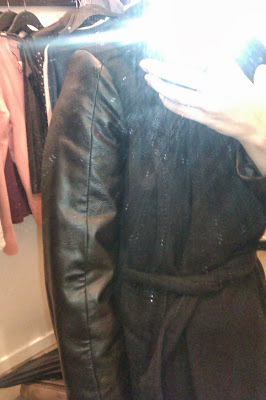 The leather sleeves again. 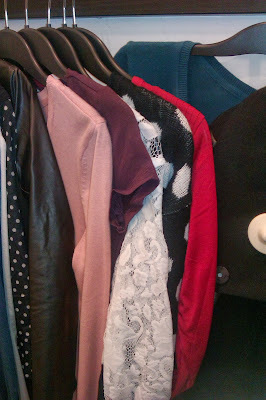 Recurring theme along with stripes, polkadot and red. Okay, when I like a trend I want to have as many things in said trend. 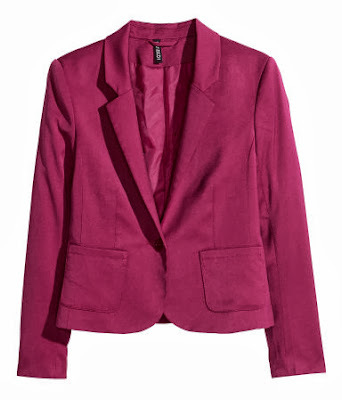 This blazer is 34,95 euros and because I already bought so much, it's gonna stay on my wishlist at the moment. 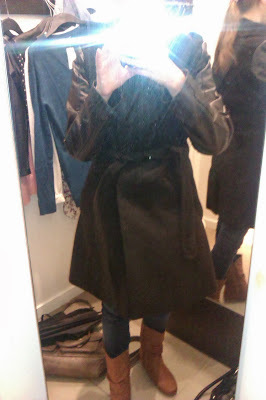 My mom bought this coat and I'm so jealous on her! I want this one as well, but I already have so many coats and I bought a nice pink coat for the winter this year which I probably gonna wear real soon. So I have already have enough coats as it is. 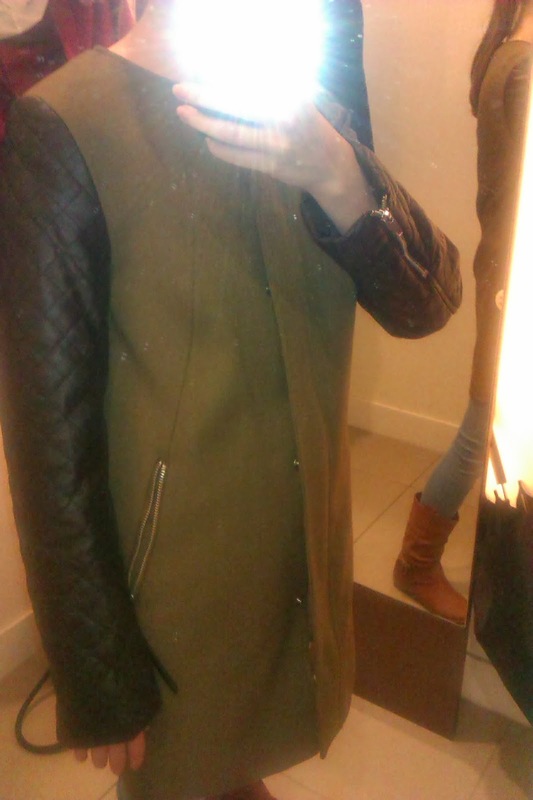 But when it's on sale and I can have my hands on it for 25 euros, this baby will hopefully mine. 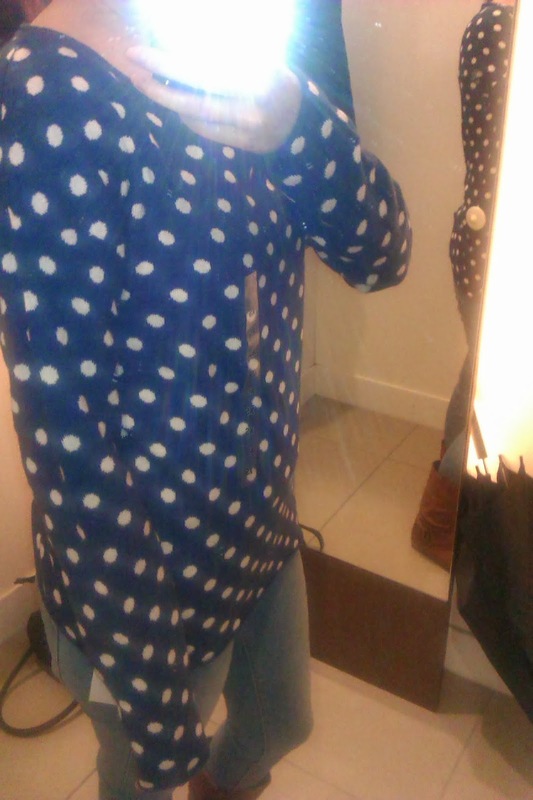 Even though it's making me quite short. 49,95 euros at the moment. 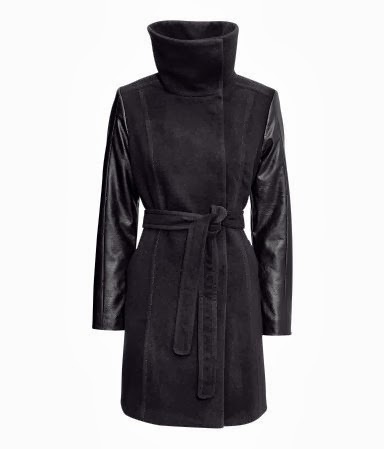 Not expensive for a winter coat (it is when you already have several). 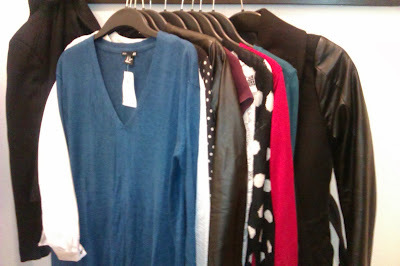 These are the items I didn't buy but secretly (not so secretly) wanted to buy as well. Items I bought. 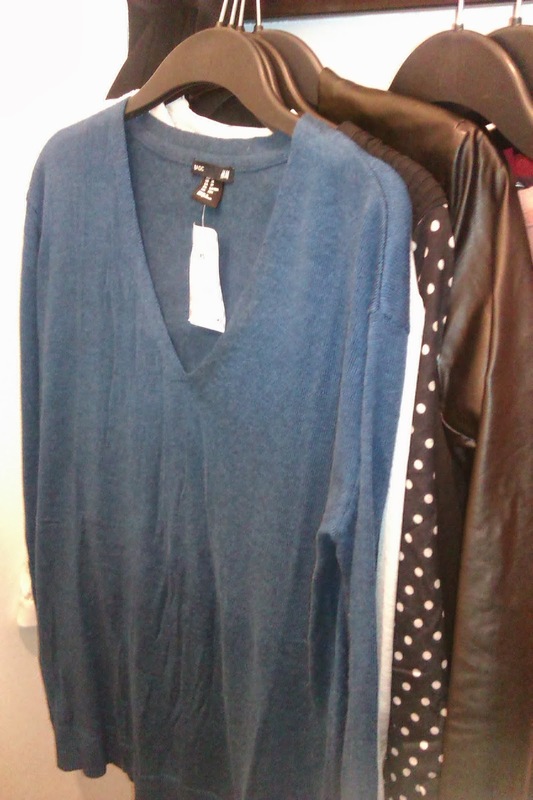 (Not the first two items or the blue sweater and black coat in the background). Items I tried on in the first store on the ground floor, including the items I bought. 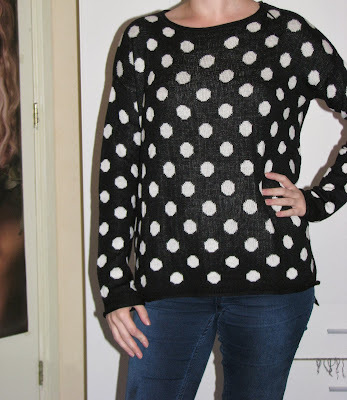 I tried on 11 things (I just noticed you can't see my pink sweater because all of the other clothes). 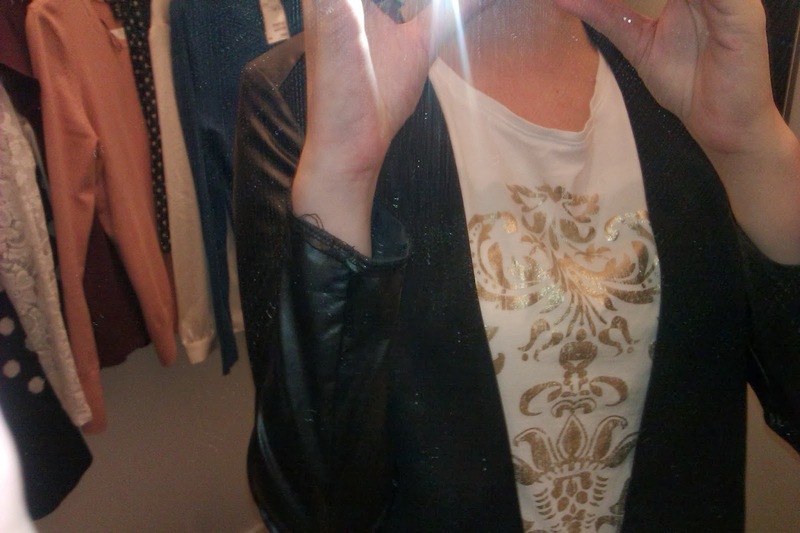 I still need to have a black blazer with long sleeves. 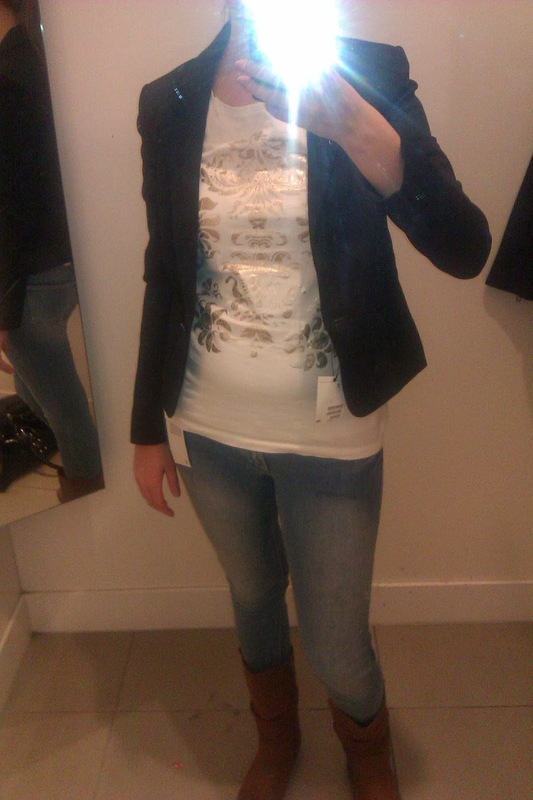 This blazer was 19,95 euros, such a bargain. Love, love, love! 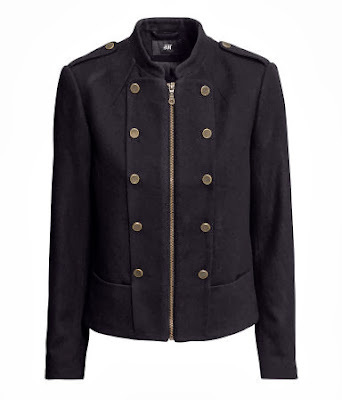 Military cool jacket, perfect for fall. When it's 20 euros in the sale, it's mine. I was slightly crushed when I noticed the sweater didn't look good around my neck. It was way too loose. Such a pity, 'cause it's so cute. 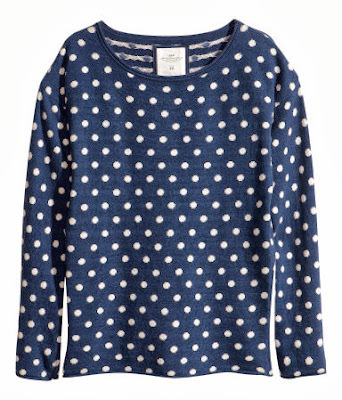 Luckily I have my other polkadot sweater! 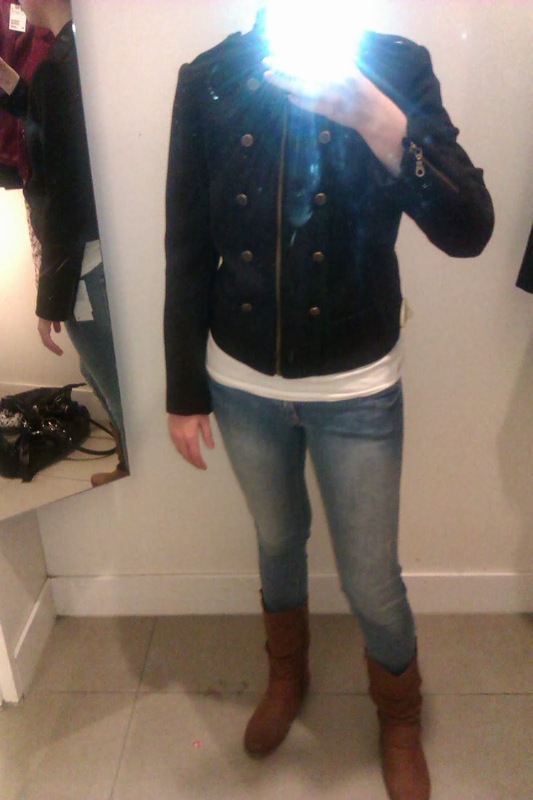 This one was 19,95 euros. I tried this one on for fun, but I don't like the shape. It makes you look like you have none. 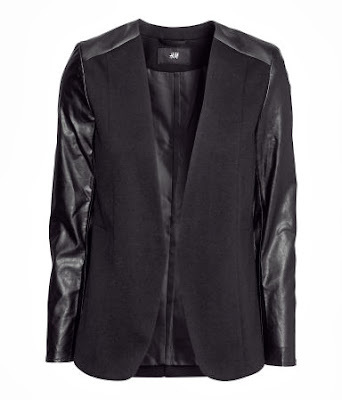 I like the leather sleeves, but that's it. 49,95 euros. Those were the items I tried one, but didn't buy. All in all, this was a very successful shopping spree!